An often overlooked component of your truck’s HVAC system, the cabin air filter helps remove contaminants from the outside air before they can enter the cab. In fact, a premium cabin air filter, like a Pure Mack cabin air filter, can remove up to 98 percent of particles – including those much finer than a human hair – before you can ever breathe them. This is especially important considering how many hours you spend in your truck each day, especially if you sleep in your cab at night. Time – On average, your cabin air filter should be replaced every 12,000 to 15,000 miles. However, pay attention to the season. That’s because you can extend the life of your filter by waiting until pollen season has ended to replace it. Dust – A clogged cabin air filter will allow dirt to flow directly into the cab, so look for a thin layer of dust to settle on surfaces like the dash. Musty smell – When the cabin air filter is dirty, air flow into the truck can be restricted, causing your cab to smell stale or stuffy. Foggy windows – Compromised air flow can also be recognized by windows that continually fog up or are difficult to defrost. 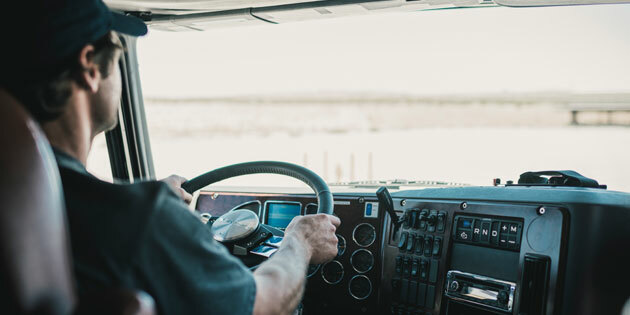 When it’s time to replace your cabin air filter, choose the brand that’s specifically engineered to work with your truck’s HVAC system – Pure Mack cabin air filters. Trust the experts at your local Mack Trucks dealership to help you keep your cabin air clean and pollutant-free. We’ll check your cabin air filter during every oil change and let you know when it’s time for a replacement. Or, if you need a mid-cycle replacement, order a Pure Mack cabin air filter online from the SELECT Part Store™. Enroll today for real-time stock status and pricing information from your local dealer, 24/7 online ordering, fast delivery and exclusive discounts.